The children enjoyed a lovely Harvest Day - celebrating the fruits of autumn! 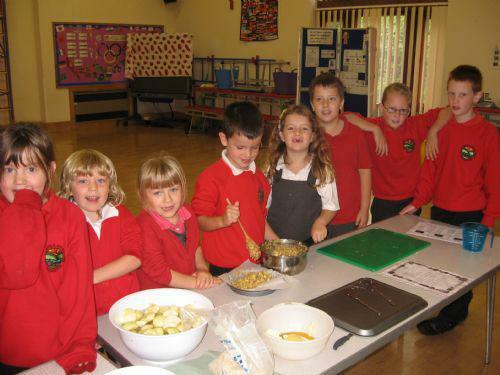 The whole school took part in making delicious apple flapjacks. Hedgehog Class made scarecrows and did apple printing. Otter Class made vegetable collages and visited our orchard. 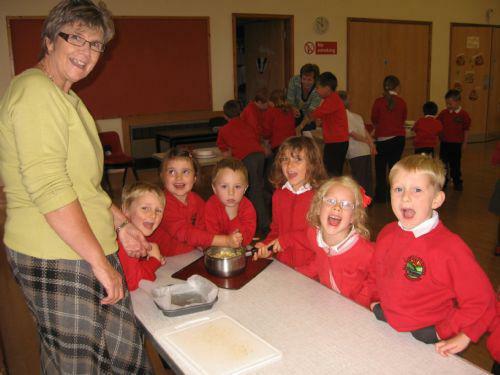 Robin Class made bread and Deer Class wrote a class poem. Rivers of apples and cornfields with colour all around. The yellow combine harvester cutting the corn. And the harvest dragon burning the trees. It's hinges are made from the thorns of blackberries. Then we shall sit beside the fire and rest.